You are currently browsing the tag archive for the ‘coastline paradox’ tag. 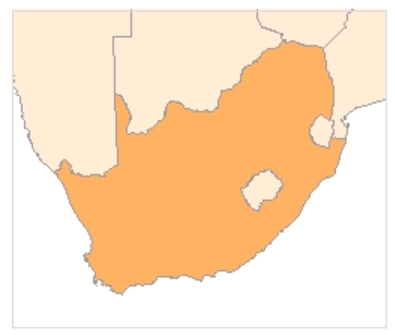 This map now has a length of around 3400km. Indeed by choosing ever smaller measuring lengths we can make it much larger still. Coastlines have similar attributes to fractals – which are shapes which exhibit self similarity on ever smaller scales. We can attempt to classify the dimension of fractals by using decimals. Just as 1 dimension represents a straight line and 2 dimensions represents a surface, we can have a pattern with dimension (say) 1.32. These dimensions make sense in terms of classifying fractal. A fractal with dimension close to 1 will be close to a straight line, one with a dimension close to 2 will be very “crinkly” indeed. We can use the graph above, which was used by one of the founding fathers of fractal mathematics – Mandelbrot – to help expand his early ideas on the subject. The x axis is a log base 10 scale of the length chosen to measure the coastline in. 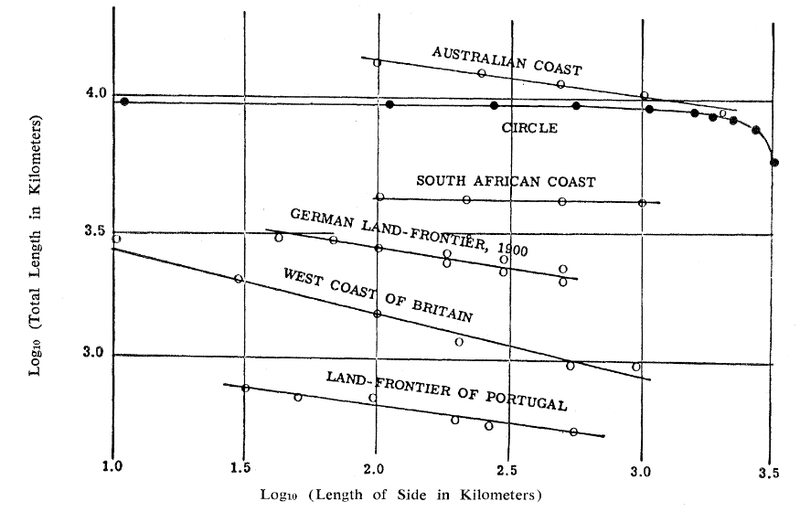 The y axis is a log base 10 scale of the subsequent coastline length. So for example if we take our first estimate of the British coastline, i.e measurements of 200km, which achieved an estimate of 2400km – then we would plot the coordinate ( log(200), log(2400) ) For our second estimate this achieves the point (log(50), log(3400) ). 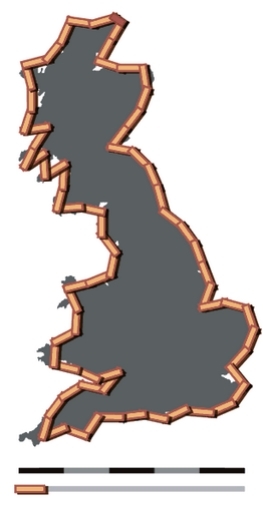 We can see that countries with steeper slopes (i.e those whose coastline greatly increases with ever smaller measuring scales) will have a more jagged coastline and so can be regarded as having a higher dimension. Mandelbrot assigned the coastline dimension as related to the gradient of the slope. 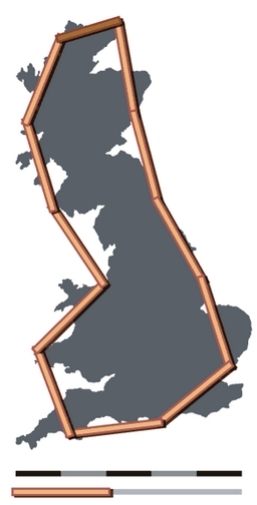 We then take the absolute value of this and add 1 – which gives a coastline dimension of 1.251 for Britain’s West coast. 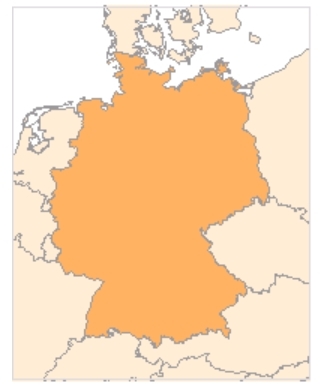 log(3/3.3)/log(2.7/1.5) = -0.162 which gives a coastline dimension of 1.162. Actually, with a more accurate reading of this scale Mandelbrot arrived at a coastline dimension of 1.25 for Britain – agreeing with our previous working out. This has a very smooth coastline – and as such the log-log graph looks to have an almost flat gradient. As such it has a dimension of 1.02.